We are a team of passionate Professional from HR, OB, OD and Outbound Fraternity who facilitate experiential learning and outbound training to transform people into better individuals, Team Players, Inspiring Leaders and High Performance Teams. Diyanat Ali is a Certified Trainer, Group Process Facilitator, Experiential Educator and Human Potential Coach. 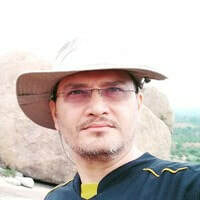 He is passionate about outbound training, facilitation, experiential education and coaching individuals, teams and organisations to raise their effectiveness and human potential. Diyanat Ali founded Outlife in 2012. Outlife specializes in conducting Experiential Education, Outbound Training, Outdoor Management Development and Team building programs all over India. Outlife got featured on ETNow Channel in Dec 2016 for innovation in the field of Training and Experiential Education.